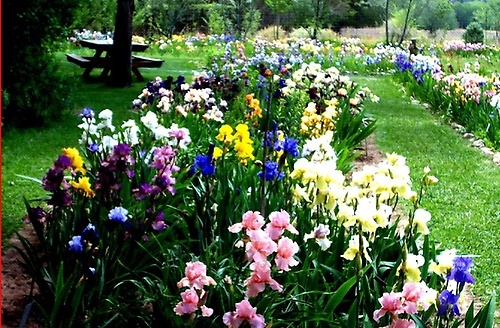 Hundreds of irises are ready for purchase. The Farm is open Tuesdays-Saturdays. Admission is free. Visitors can roam one of new Mexico's most beautiful gardens replete with iris, Shasta daisies, poppies, and native plants in the new botanical garden. There is a hummingbird porch, a gold fish pond, picnic tables, and a gallery in a 150-year old building. The gallery features paintings, sculpture, jewelry and imported gifts, clothing and ceramics. Children are welcome. TripAdvisor gives the farm a four and a half star rating. 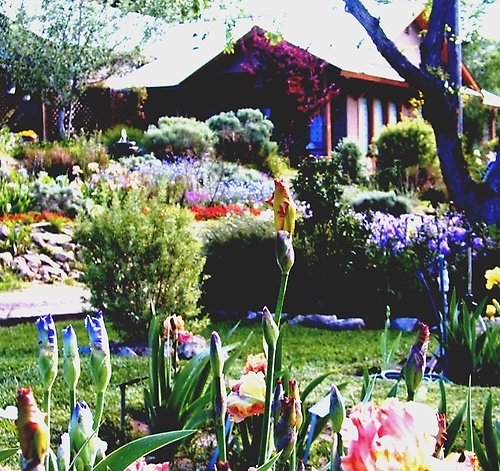 In addition to beautiful iris and other plants in their botanical garden, the Hondo Iris Farm claims the world's largest fairy garden. 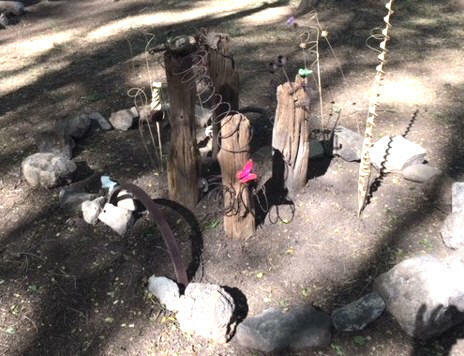 The Hondo fairy garden is located in the forest below the iris garden. 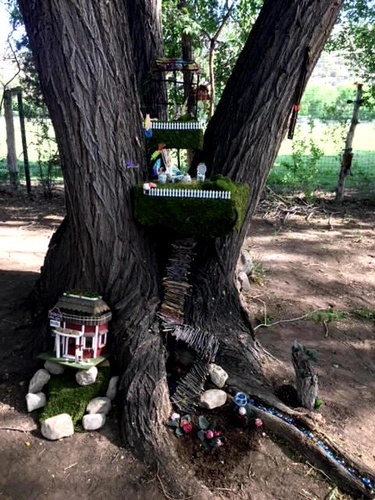 The fairy garden boasts a general store, a bar-b-cue restaurant, a fairy flight school for training of young fairies, a fairy ring with toadstools, and a canoe, just to name a few of its attractions.